Regarded as one of the leading Avant-Garde experimentalists of his day, the late composer John Cage was known for his love of innovation and unpredictability. “The world is teeming”, he once said, “anything can happen…I can’t understand why people are frightened of new ideas, I’m frightened of old ones.” It is perhaps unsurprising then that Peter Broderick, an artist whose career is characterised by breathless invention and spontaneity, turns to Cage for inspiration on his latest album, Partners. 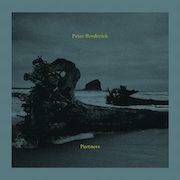 Since his debut with Eferklang in 2007, Broderick has produced a wealth of critically acclaimed collaborative and solo outputs unmatched by his peers. Partners is yet another ridiculously creative album showing Broderick never rests on any laurels, nor stands still. And he's still only 29 years old. If you think it all sounds a bit Tate Modern, you’d be right and it makes for a challenging opening not least because Broderick himself feels so detached from the piece. Chance has produced this, not conscious structural crafting – there is nothing really of Broderick himself in the piece to empathise with. Cage was a fan of “taking the self out of music” through chance and it is clear Broderick is attempting to achieve something similar. But it raises a difficult question: what then, is the point of a composer if everything is produced through chance? As the poem develops, however, the idea that we can “find life within mistakes” and “peace within chaos”, two of the lines from the poem, hold true, and some coherence can indeed be found in the chaos. It is, in a good way, as linguistically bizarre as anything Lewis Carroll or James Joyce might have written; whilst the language is nonsensical and chaotic, there’s something quite magical and playful about this experiment. ‘Carried’ is Broderick’s own composition and a piece he’s played live a handful of times. Haunting vocal loops play in the background through an amplifier against the solitary sound of Broderick’s piano. Emotive and ethereal, it’s a good companion to both ‘Conspiralling’ and ‘Up Neik Mountain’ which appear later on the album. Like ‘Carried’, ‘Conspiralling’ is another track Broderick has played live previously. It’s simultaneously urgent and fragile, close but elusive – something perhaps achieved by the distant echo of vocals, only heard faintly on the track against what is a determined piano composition. ‘Up Neik Mountain’ is an uncanny, enigmatic and otherworldly track dedicated to a deceased farmer Broderick knew whilst resident in the Netherlands. In between ‘Carried’ and ‘Conspiralling’ comes ‘Under the Bridge’, the next and final chance composition on the album. Broderick matched numbers on a dice to notes, with the notes played in the order the dice is thrown. Like the poem ‘Partners’, it’s hard not to feel detached from the album on this abstract piece, but the minimalist background noises and Broderick’s own choice of tempo actually make this a fascinating listen. It shouldn’t work after being designed under such chaotic circumstances, but it does. Broderick has always been an artist excited by unpredictability in music and what it can achieve in chaos: it’s certainly justified when you hear the result.